What is an ad agency? An advertising agency is a professional service firm which is generally hired to plan, create as well as manage all aspects of a client’s advertising. A top creative Ad Agency can specialise in particular tasks or can also be a full-service agency that creates advertising matter like websites, social and online campaigns, catalogues, brochures, direct mail, print ads, as well as TV and radio commercials, and so on. An Ad agency works to execute the role of developing, magnify the image of, and strengthening a brand in the market. They create an advertisement based on the information about the product. They research about the organisation and the product and feedback of the customers. By this, they get an idea to plan on a specific medium to be used. The feedback from the customers and also the clients helps decide the next step of action. 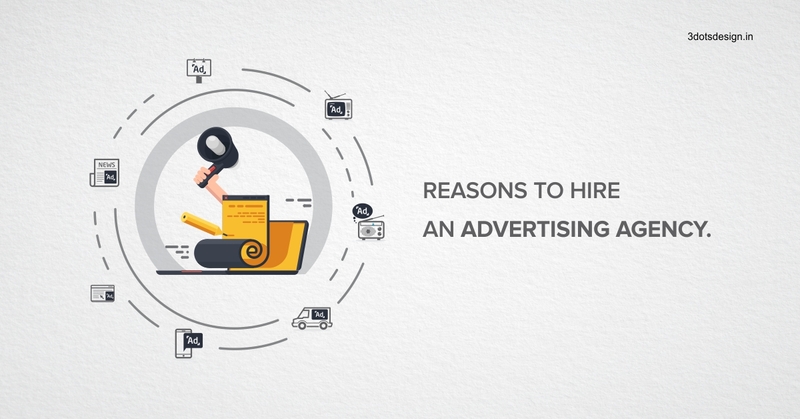 Why do you need to hire an advertising agency? They are experts in this field. They have experienced people specifically dedicated for different tasks like art direction, designing, copywriting, planning, etc. Hiring a top design ad agency in Pune would surely give you better results than doing it yourself. How is a marketing company different from an ad agency? A top creative Ad Agency strategises alongside the clients on advertising their product / brand, and also how to present it in a positive way to the public. It assures to attract consumers with its marketing acumen, and appears in the right place, at the right time. Whereas a Marketing agency provides a wide span of services and helps develop a marketing strategy with a consultative approach. It is more of an external communications. It’s a process of enticing customers to buy your products and services through different ways. How would you choose an ad agency that will be reliable, trustworthy and result oriented? Finding the top advertising agency in Pune can be tricky. The agency sure needs to have a good website if it doesn’t, consider it an obvious red flag. Testimonials and client logos are other aspects to look out for. The experience they have, the awards they have won, all these factors are essential for the credibility of a top creative ad agency in Pune. Tread lightly when it comes to agencies that offer low prices on their services, because it usually means compromise in the quality of services. A top creative ad agency in Pune which is a one-stop destination for multiple communication solutions such as Advertising, Design, Digital is 3 Dots Design. During these times when the communications business is highly fragmented, we are one of the rare Advertising Agencies who have remained as Integrated Communications Specialists. 3 Dots Design is a top creative ad agency in Pune for every possible brand communications mandate. Being media neutral not only helps us optimise every Advertising Rupee that the clients spend but also enables us to add more agility to the clients’ Marcom process.